The dust has settled on LDJAM 41, for which I made the rage-inducing Flappy Blocks in 48 hours. I learned a lot, and thought it was only fair to share. 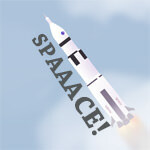 So here is my Top 10 List Of Things That You Should Consider Doing To Prepare For A Game Jam! 10. Prove you can export something. If it’s been a while since you used a game engine, it’s well worth putting together a non-game where you can move a basic object, and export it. This is especially true if you need plugins, such as exporting to WebGL from Unity. Make sure everything’s up-to-date and working together, and you could save yourself a lot of pain at the end of the jam. 09. Decide what you’ll eat. I mean, same as any other day, except you want to avoid going to the shops and losing time. Think about what you’ll have for meals, fruit/snacks, and how you’ll stay hydrated. 08. Set up a repository in advance, and use it. Losing work is pain. 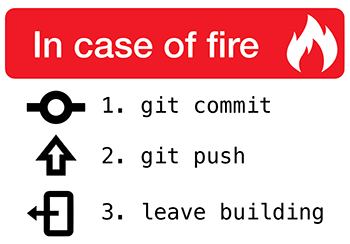 By setting up a Git repository before the jam begins, and committing every 20 minutes, you’ll never lose work and can easily get back a file you accidentally overwrote! Even better, Bitbucket or Github can backup your repositories online, for maximum safety. 07. Know what you want to get out of it. This could include making friends, learning dev skills, making a game you think is great/different/terrifying, getting followers, or any personal reason you have. By knowing what you want to get out of it, you can be much more likely to get it. 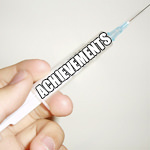 Perhaps you just want to try making a game in a jam, and that’s great too! 06. Ask your friends to jam with you. For a weekend like this, it’s so much easier to stay focused if another person can see your screen. I had Joshua beside me, and he was able to help with some of my code issues. In Ludum Dare, it’s possible to work as a team in the “Jam” category, but we chose to make one game each instead. The Jam is very competitive, and neither of us are artists! 05. Choose your tools in advance. Besides your chosen environment/language, you’ll also want to think about how you will make art, sounds, and music. The old Ludum Dare site has a list of tools, so have a play around before the jam begins – it’s easier to learn when there’s no time pressure. 04. Pick an idea you can finish. It’s totally fine to make something simple! This is going to be different for everyone, but getting to the 40 hour mark without the end in sight is frustrating. If you want to challenge yourself, I suggest choosing one area specifically to learn something new; e.g. 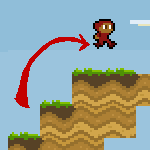 if you’ve never made dynamic sounds, or worked with pixel-perfect sprites, it could be wise to treat that as the challenge and keep the rest of your idea simple. 03. Add a day. It’s a 48 hour jam, but secretly it’s a day longer. Because on the Monday, you will be splattered and not in the mood to do much of anything. Use this day of rest as an opportunity to rate lots of other games! 02. Polish beats ambition. In Ludum Dare specifically, there is literally no rating for ambition. If you care about ratings, then spending time on polish will beat spending the same time on an extra 5 levels, every time. That said, I love ambitious games, and if it fits the targets you set out for yourself in point 7, then don’t worry about the scores and just do it. 01. Scores don’t really matter. Honestly, it’s much more important that you meet the personal goals you set out for yourself earlier. Game jams are a weird, fun challenge to undertake, and you should always be proud of the result. 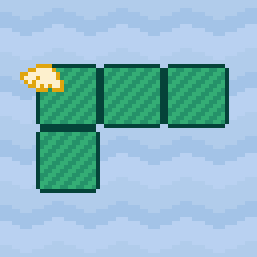 In LDJAM, two of us made “Flappy Bird x Tetris” games. And yet, even though we interpreted the theme in the exact same way, our “Theme” rank was 45 places different. There’s no reason for this, besides that different people saw each game and some people are pickier than others! If that’s not a great example of why scores don’t matter, I don’t know what is. And that’s about it! 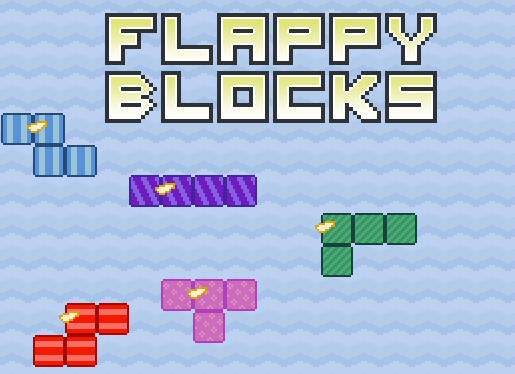 So, how did Flappy Blocks do after all this? Great! It got top 10 in two categories out of a thousand “Compo” entries, and more importantly for me, helped me connect with lots of new faces on Twitter as I’m starting my gamedev journey. In fact, it could help me connect with you right now! To get these posts delivered direct, stick your email in the box below. I promise I’ll only post things I’d want to read.